Force Touch (or 3D Touch) is an impressive haptic feedback technology that is rolling out through updated Apple hardware, with all of the newest model Mac laptops having a Force Touch trackpad included. To disable Force Touch, follow the steps below; From the Apple menu, choose System Preferences. Click Trackpad, and go to the Point & Click tab. 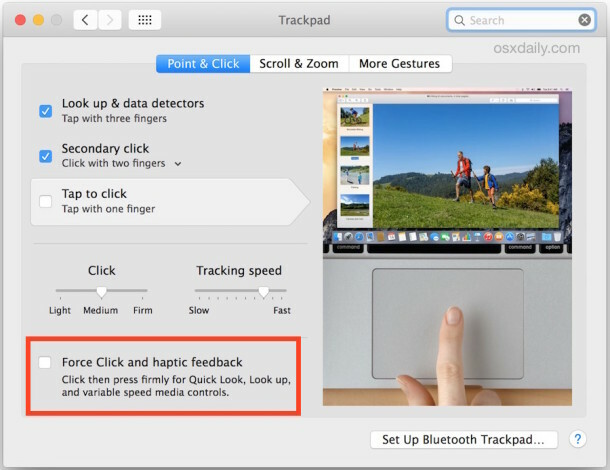 Deselect the “Force click and haptic feedback” checkbox.